Ghumakkar Editorial Monthly Digest- February 2013 - Ghumakkar - Inspiring travel experiences. February mesmerized us with a whiff of love and yes, we were all smitten, weren’t we? From start through end of month, celebration filled the air. While prior to the Valentines’ day many of us put on the thinking cap to get creative with the gifts for the season, the days following the Love day kept us nostalgic, pragmatic, romantic and panic? Just kidding about the last one!It is love which keeps us going through the various ups and downs of life! In this context I must mention how proud we @ Ghumakkar feel about our lovely community of authors and readers. Without your constant support and love, we couldn’t have sailed so smoothly during those days when our servers faced severe outage and we did have some attacks on our site, during the last few weekends. We thank you all for standing by us when we were troubled by these technical issues. In this monthly digest, I would like to throw light on the current working model @ Ghumakkar. We are hosted at HostMonster – one of the popular and respected hosting service providers. We are on a shared server plan because of which, we do run into bandwidth issues. The solution to this is investment of time, effort and of course money and to have self-managed servers or self-managed hosting. The recurrent challenges we encountered this month has definitely made us cautious and alert. We are now taking daily backups , every night. The loss of some data due to this has put us in an apologetic situation and we are sorry for it. We will need your help during such troubled times. How? Firstly, keep us informed, write to any one of us or at info@ghumakkar.com. Next, request you to show patience and tolerance since these are unplanned events. Lastly, if some of you are in the tech world of WordPress, MySQL databases and beyond then, we would love to have any consultancy. What we have done is that we have done a complete review to block all leads. From front end, we had to add captcha which sort of comes in the way but probably helps to keep bots away. We have put a stricter regime of database maintenance. After all this, please be assured that we will take care that, if due to unavoidable circumstances your post misses schedule, we will reschedule it at the next available slot. Alright, after this short but necessary briefing, let us welcome new members to our family! Anoop Gusain is fond of traveling to the mountains, enjoys the freedom and luxury of time he gets when he takes his vehicle to most of the trips. Traveling seems to be persistent through his life : basically from Uttarakhand, pursued his studies in Delhi and now lives in Noida. A story on Ladakh marks his entry to Ghumakkar family and also got him a lot of fans! His post saw a great response and we hope the trend continues! Next is Mishri, an IT professional who loves traveling and exploring new places. With a simple and elegant post about an enchanting trip to Mukteshwar, Mishri stepped into our author community. The post has some really wonderful pictures and adds glamor to the post. T V S R K Prasad is our 3rd new author for the month. He is 61 years old, retired from State Bank of India as Chief Manager (Govt Operations) Local Head Office, New Delhi. Being passionate about driving, he uses his modified Alto 800 car to travel to places. He has traveled from Delhi to Hyderabad by car and has described his journey log in an amazing post on our website. Please welcome our wonderful new authors with a huge round of applause! If you haven’t read their posts yet, read them now! It is always better to be late than never, you see ! It is these newbies who groom themselves to become popular authors over a period of time. While some gear up quickly to win several hearts in a very short span, some others are steady and inch towards a glorious position. At Ghumakkar, we leave no stone unturned and no category of authors unmentioned. This month we have the King of Humor – Sushant Singhal identified as our Featured Author of the month of February. “..Ghumakkar: And what motivated you to write your first story here? Sushant: I had perhaps never written a travelogue earlier but did have a story of my earlier Mumbai trip lying somewhere in my laptop. I sent it to you. However, erroneously on my part, it was not “Submitted for Review” and was in “Drafts” folder only. When I didn’t hear anything for three-four months, I forgot everything about it and Ghumakkar but one day, I got an email from Vibha asking if the Mumbai story was ready for submission from my side. When I said yes, within a week, another mail from her confirmed my story having been accepted. If you think there are other posts which fall into this category and we have missed them, please bring it to our notice. You can write to us at : info@ghumakkar.com. Several other posts too grabbed their slots this month.Posts on the lucid and romantic walk of Praveen continues in the high meadows of Himalayas while Rakesh Bawa finished his long journey to Mewar; SS is back to Iceland with a loving and rich finish to his series on Himachal and our regular authors like Abhee, DL, Amitava continue to entertain us with their ever interesting stories. Among all these stories, it was difficult for us to pick one story as the Featured Story for the Month. Please put your hands together for Gita and her series on Valparai. Gita is a resident of Mumbai and is a staunch nature lover. Her interest lies in off season travel to places of natural beauty and ancient heritage. 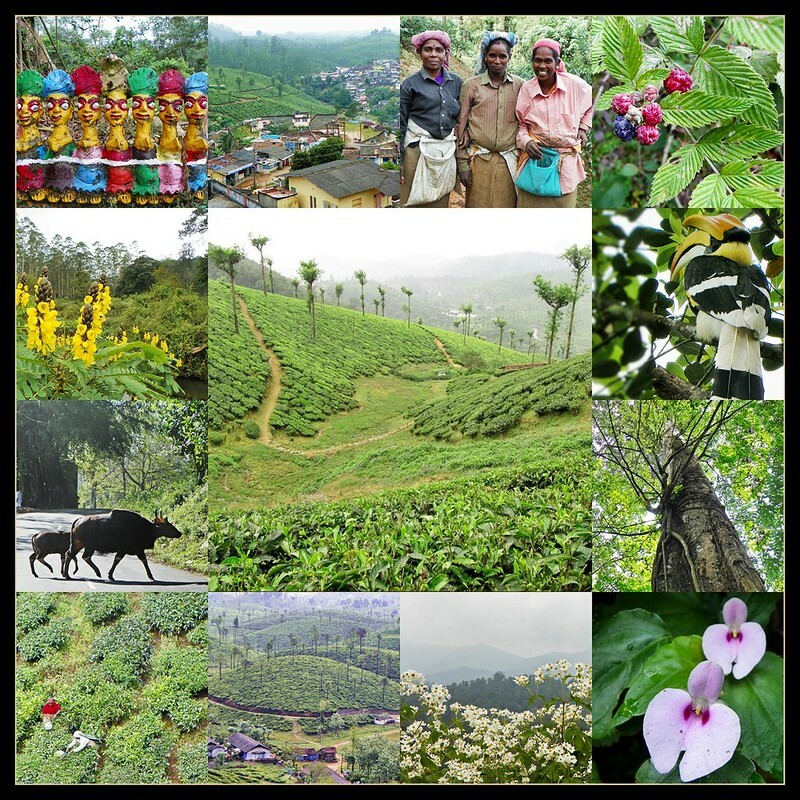 “The Valparai Plateau comprises gently rolling mounds covered with tea plantation, interspersed with patches of dense shola forest against a backdrop of high mountains. Add to that some azure blue lakes to complete the canvas. Valparai is a biodiversity region in the outer buffer zone of the Anamalai Tiger Reserve. Most plantation companies now actively cooperate to maintain the wildlife corridor and to increase the rainforest cover in their respective estates. Do you wish to travel to such picturesque places often? Are you already planning? Then count me in ! Who wouldn’t want to frequent such places! Thinking about travel often confuses me with a zillion options to choose from. Be it flight deals or deals for accommodation or the choice of the place! It looks like cheap tickets are now back in vogue. Back in January, Spicejet had an offer and recently Jet Airways too had an offer. In my opinion, Ghumakkars wait for no opportunity to pack their bags, do they? We have reached the end of this fabulous month of February. March lies 12 hours away and has already got our author Venkat’s name engraved for the Featured Author title. He has been with Ghumakkar since 2010 and has been writing and reading consistently @ Ghumakkar. His posts have till now concentrated mostly on lush green and popular South Indian destinations. Coorg, Nagercoil, Ooty, Temple trails of Karnataka and the like are some of his really popular posts. To tell you more, his Temple trails series has also been chosen as the Featured Story in the past. Congratulations Venkat. Get set for a super-exciting interview with Nandan, very shortly! The interview will go live in the mid of March. Please watch out for it! Very interesting and thought provoking editorial from Archana. It caused some more creases also on my forehead as I tried to understand the problems related to outage of this site. Captcha is a known way to keep robots away and I hope it will help a bit. I am specially thankful to you for keeping the math easy otherwise I would have needed a calculator, or worse, might have needed a math tution from my wife to be able to fill correct figure! Yes, I also need to convey ‘thanks’ for mentioning me in the editorial in a flattering way! Aap kitni achhi hain, Archana !” Thank you from the bottomless bottom of my heart! Hearty congratulations to Gita and Venkat too. Thanks Sushant for liking the post! Lastly, I would like to extend a warm welcome to our new members! An standing ovation to you for being adjudged as the Featured Author for this month. I am afraid I have totally missed your stories but I must enjoy them now. Your name reminds me of an old friend – T. Thanikachalam – who used to be my colleague in Bank of India. His full name was Thillai Govindam Thanikachalam Mudaliyar (spelling may be a little wrong here). Would love to get in touch with him again but don’t know how! Very interesting editorial. Perhaps the site needs more advertisements and could arrange for a tie-up with travel-arrangement sites for co-promotional activities to offset the costs. Congratulations to the new authors, the featured stories and Venkat, the featured author. Thank you Dr.Taher for the ad suggestions. Your suggestions are valuable to us! The Service provider will generally have provision for daily tape/disk backup on their end, though it may lead to loss of data between the last backup and disruption. The most popular method to avoid data loss is to have a cluster server setup and/or a DR site. Both of these are dependent on the service provider and of course, money. MySQL will let you schedule backup at regular intervals in a flat file form. This and the transaction logs together can be used to recover the data in case of problems. However, to account for storage/hardware failure, the options mentioned in first para can be used. Please let me know if I can be of some help. That is some good input Tarun. Technically, cluster set-up and a DR option is ideal. As you said, how feasible it is , is what we are thinking about. We will surely need such inputs from you and from others. It is not for name-sake that we call it our family, we really mean it. Which is why we display even our troubles so openly here. We will get in touch with you if we need further inputs. Thanks again! Congratulations to Mr. Venkatachalam, who had presented us with a lovely series on the temples of Karnataka last year travels. We have been missing his presence of late but he has started writing again and I hope that this recognition will spur him to contribute more often. Congratulations to Ms. Gita AM too. Her knowledgeable comments on the flora and fauna of the Nilgiris made us sit up and notice her as a person of considerable erudition. She writes lucidly and with rare elegance and her series on Anamalai has been out-of-this world; “National Geographesque,” as someone aptly described it. Above all, three cheers to our editorial team who have literally burnt the midnight oil to restore the website in a remarkably short time on a number of occasions after sustained attacks. We are indebted to Nandan, Archana and other members of the editorial team for all that they have done for us. Finally, congratulations, Ms. Archana, on yet another well written editorial, summing up the events of the month in a precise yet highly readable manner. The effortless ease with which you have donned the mantle of editorship is truly amazing and I have waited for your editorial with almost the same eagerness with which I waited for Mr. Chidambaram to present his budget. It becomes our primary responsibility to get things back in action, ASAP. So, we tried our best to get the site up soon. However, our efforts go in vain when some unexpected events happen. But, we must say, we are not bogged down by that. Everything in life is a lesson and an experience by itself. We are now alert and we hope to tackle such issues better next time. Mr.Chidambaram will definitely read this post if he gets to know that there was something else as awaited as his budget session! heehee..
Congratulations to Mr. Venkatachalam and Gita AM. Both are my favorites. Archana Ji , Your editorial reminds me of icing on the cake for this site. To the point… Dhishkyaoon…. but I am still waiting for some new story fromyou as might be other contributers. Welcome aboard Anoop, Mishri (we are still awaiting to hear from you) and Mr. Prasad. I hope all of you are liking your stay here. Congratulations Gita. You Valparai series was educative, novel, honest and the pics were amazing. They are now our prized possession. And finally congratulations Venkat. :) Thoroughly deserved. @ Taher – We need someone to do the legwork of asking for advt. Please spread the word. @ Tarun – Thanks. Daily backups are in place. DB might need some cleaning since I am still wary of some corruption. Would reach out offline. Even if 10% of our own readers and authors start using the travel services advertised on the site, you would start making profit, Nandan. 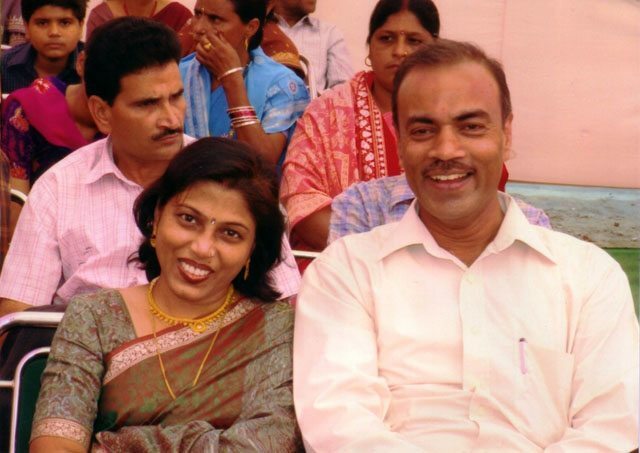 C0ngrats to Mr. Venkat for featured author & Ms Geeta for her featured story of month. Welcome to all three new members on this platform. Thanks to Archana Ji for monthly digest as it is always helpful to get complete information of month. And a very big thank to Nandan Ji, who was busy whole the month from the back stage to save this platform. Agreed with Taher Ji & Nandan Ji to do the work for advt. Thanks Saurabh.. I am glad you got an overview of the events of the last month. Welcome Anoop ji, Mishri and Mr Prasad. Congratulation Mr Venkat and Ms Gita. Thanks NJ,Archana and all others who worked so hard to save/protect this website. Thank you Abhee. Looking forward to your next posts! C0ngrats to Ms Geeta for her feature story of the month and Mr. Venkat for featured author of the month.. Need these information time to time. First of all congratulations to Gita & Venkat. Valparai series is indeed excellent and pictures, including the place are a treat for your eyes. Look forward to know about Venkat. His recent post was the first for me since I joined here…thoroughly enjoyed and ‘ll read his previous series at my leisure time. Finally, a great effort of editorial team in this difficult situation and just hope and pray that bad days are over. Another great post Archana and look forward to your stories now. Interesting post, much awaited through the month ! Enjoyed reading the same. Congrats to Venkatt and Gita. Happy travelling to all of us…. Welcome to new Authors & congratulation to Venkat and Gita. @ Archana – Thanks for the beautiful post. Thanks for giving people like me a little understanding about the problems the site is encountering. Trawling through history sites, I cant really say I have found any solution! At least not in the 12th century. Thanks for the month roundup! Gita’s posts and photos are simply amazing. I dont care where Valparai is – TN or Chile – I am going there. Welcome to all new authors and Venkat! Please let me know if I can down load some stories b’coz sometimes net or this site not working, or I can take information immediately for my future plan etc. @ Hemant – Yes please. In any case all of these stories are in open space. Just keep encouraging authors. Thanks. Thanks Nandan ji. pl let me know hw to down load. Grateful to the editorial team at Ghumakkar for selecting me as Featured Author for March. Thanks. Pingback: Ghumakkar Featured Author Interview – With warm and colourful Venkat / Ghumakkar – Inspiring travel experiences. An offshoot of the trip to Lisbon, one can easily spend 2-3 days marveling at the enormous palaces, forts, castles, and much more that Sintra is. Located about 30 km west of Lisbon, the trains that take you from the Rossio station in Lisbon to Sintra are frequent (every 15-20 minutes), cheap (was free with my Lisboa card), and extremely convenient. 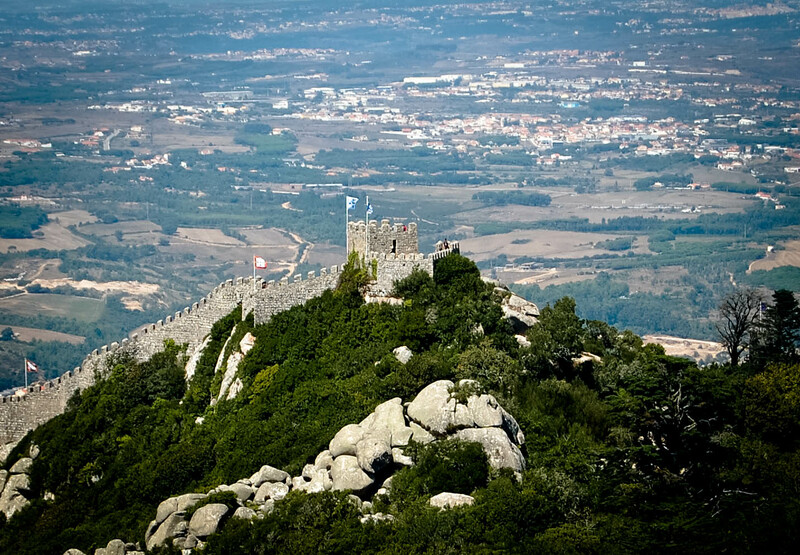 Sintra is a UNESCO World Heritage Site, its cityscape dominated by many mountains, palaces, and forts.